Directions: From Bucharest North Railway Station (Bucuresti Nord or Gara de Nord), take the train to Brasov, a city situated about 150 kilometers north of Bucharest (capital of Romania). Bucharest is well connected to most major cities in Europe by air. 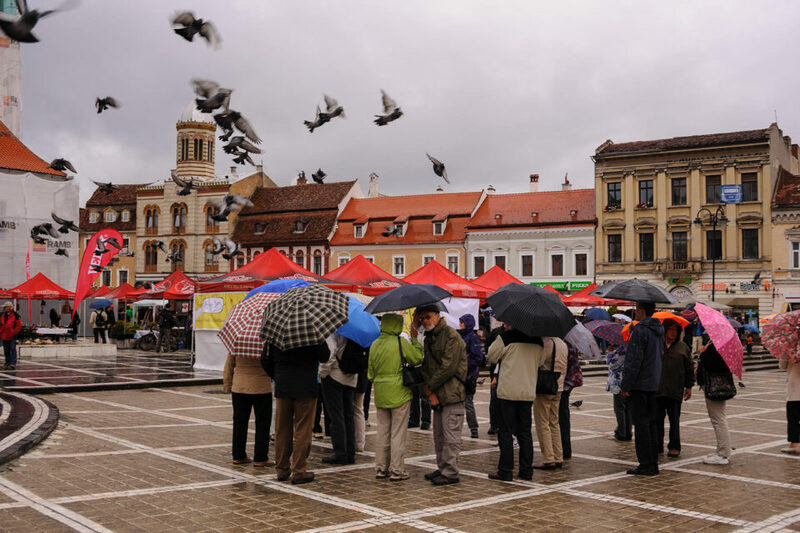 At the Brasov railway station, take a taxi/cab to Piata Sfatului or Council Square. The taxi will drop you maybe 250 meters from the Square here (as its a pedestrian only zone). Ask anybody directions to the fountain in Council Square. Also, this area is well marked with signs and directions (including distance), which makes it relatively straightforward to find your way on your own as well. I visited Romania for a conference in September 2013. The 4 day event was in Bucharest and once it was over, I hopped on to a train to Brasov (after receiving plenty of recommendations from locals). 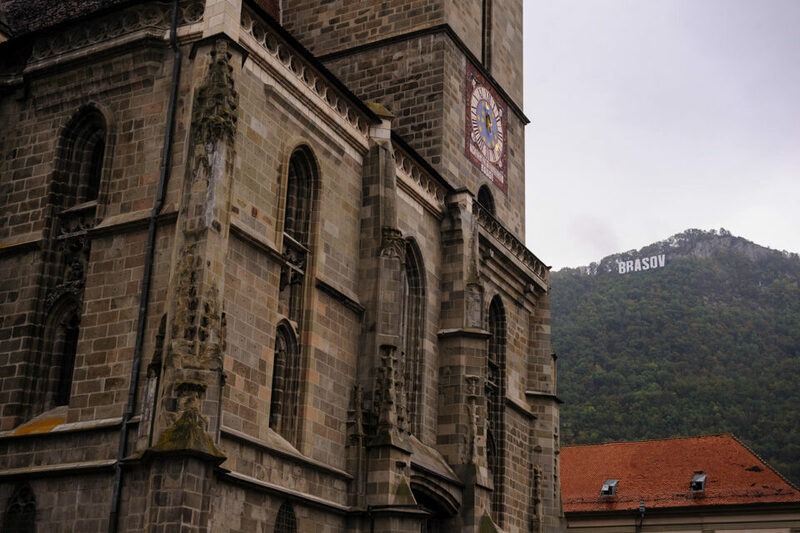 It turned out that all the hype and rave reviews about this quant city were true and we had an amazing 2 day stay in Brasov. The city has retained the medieval charm and gives you a bucolic, romantic feel, which is often associated with Romania. I tried making most of my time here and started with hiking Mt. Tampa, the mountain that towers Brasov from south/south-west. The view from top is magnificent and though it was raining almost all the time when I was in Brasov, the clouds did break up to provide some good light. Overall, it appeared to be a spot, which will work well both in the morning and evening to capture a bird’s eye view of the city down below. Next day, we spent quite some time at the Piata Sfatului (Council Square). There is plenty of activity in this area, especially around the fountain, which provides good photographic opportunities. The streets have a medieval feel and are quite picturesque including the Rope Street- arguably the narrowest street in Europe. The southern end of the Council Square, is bordered by Biserica Neagră or the 14th century Black Church, said to be the greatest Gothic Church in Transylvania. 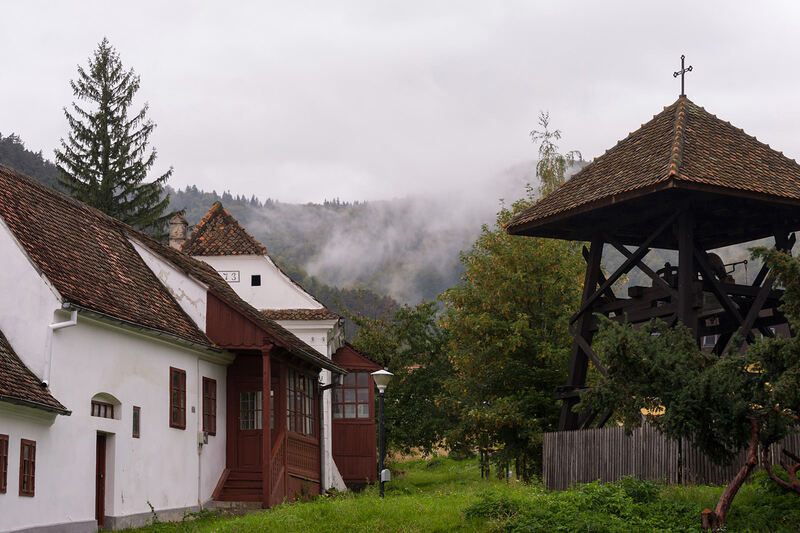 We walked several kilometers further south/southwest from the Black Church and found a plethora of interesting things to explore and photograph such as the first school in Romania etc. 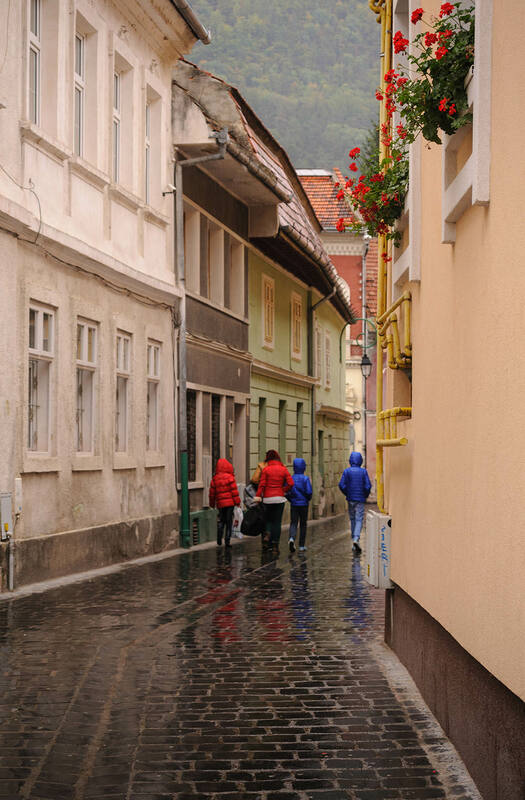 Overall, I can safely say that I enjoyed travelling and photographing in Brasov more than Bucharest. It is good to book a hotel close to Piata Sfatului and take a cab to the hotel from the railway station. Drop off the luggage, check with the hotel staff about directions etc. and then set out. Most restaurants serve their own baked bread, which goes amazingly well with a traditional Romanian rustic vegetable soup. Finish off your meal with a traditional pancake served with honey. 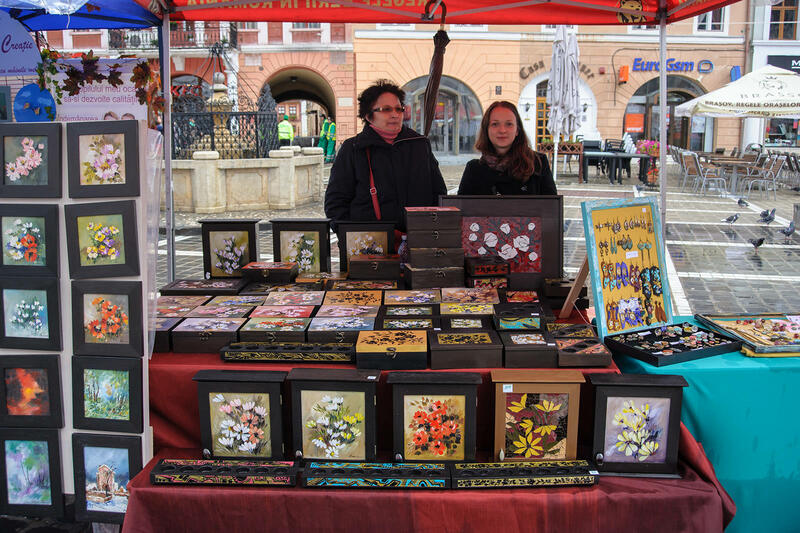 People in Brasov are very friendly and happy to help. Most young individuals speak fairly good English. Knowing two words of Romanian: Bună (hello) and Mulţumesc (thank you) help a lot (I picked up a few more). People love to see you trying to speak local greetings and usually become warmer and help you with a smile. It can get cold in September especially if it is raining, so carrying a jacket is a good idea. Lenses: A mid-range zoom like 24-120mm and two fast primes: 24/35mm and 85mm work very well. For taking candid photos and tight city shots, a 70-200mm lens of course comes in handy. People are fairly friendly so politely ask and shoot portraits. Cloudy days saturate colors, making dynamic range much more manageable and allow photographing almost all day. 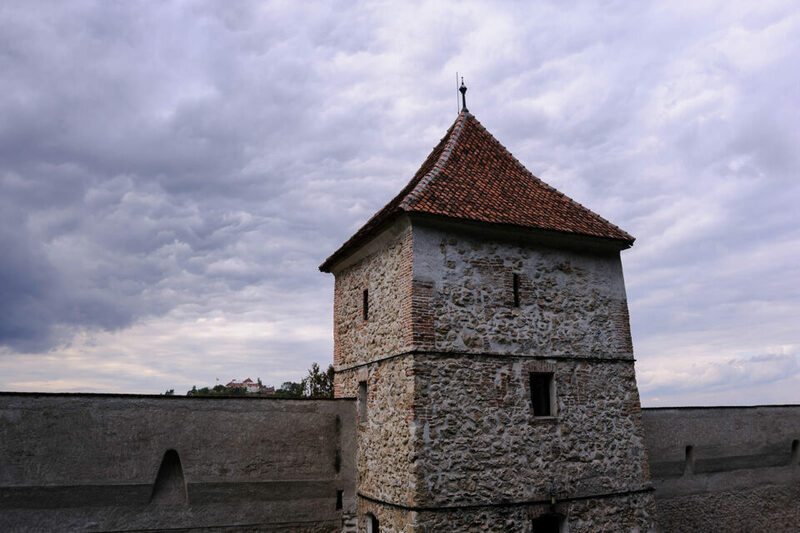 Situated on an important medieval trade route, Brasov was always threatened by attacks and stone walls were constructed for its protection. These make good photo subjects. Explore the city on foot. There is no better way to find interesting compositions and create a photo story capturing the essence and character of the city. 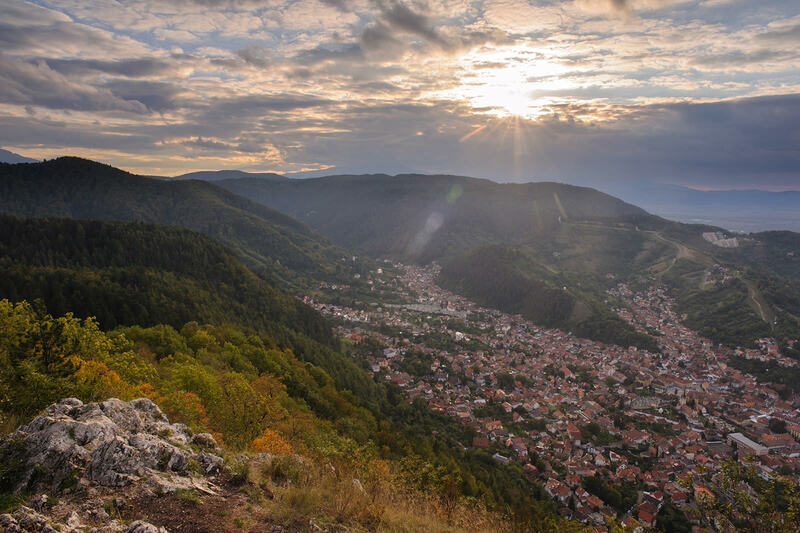 Brasov is close to the famous Dracula castle and Zarnesti. The latter being the gateway to the Carpathian Mountain Range offering many adventure activities such as wildlife tours etc. Best season: Summer though winter is also popular thanks to many ski areas in close proximity to Brasov.